Jamaican sprinter Usain Bolt predicted Tuesday during an appearance in Japan that the world records he set during his illustrious track career could last for two decades. 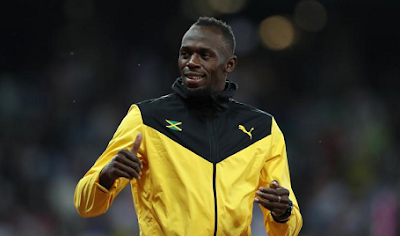 Jim Armstrong of the Associated Press passed along comments from Bolt, who said he went up against the "best era" of competition, which should allow his marks to stand the test of time. "I think [they're] going to last a while," he said. "I think our era with Yohan Blake, Justin Gatlin and Asafa Powell and all these guys was the best era of athletes. If it was going to be broken, it would have been broken in this era, so I think I have at least 15 to 20 more years."